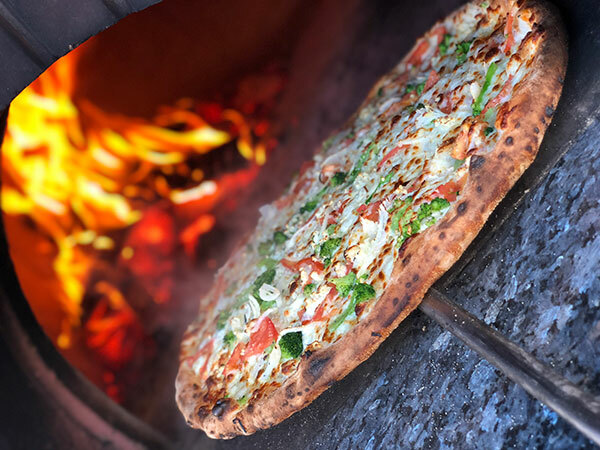 The Fire Pizza Company - Wood Fired Brick Oven Pizza Truck in Northford Connecticut - We Bring The Fire To You! If you have questions or need to check availability, feel free to call or email us! Make any party a Pizza Party! The Fire Pizza Company also offers vending services for public events. Please contact us for details or to see if we are available. Check out our menu for more details on what kinds of toppings you can expect to see at your event. 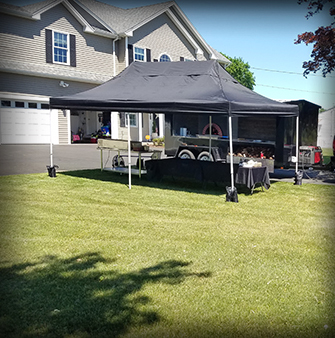 We provide serving tables with a tent to cover, lighting for evening events, paper plates for pizza and salad, forks, napkins, salt/pepper and trash can. For an additional charge you can choose to add Atlantic Lobster, Chopped Whole Belly Clam, Sea Scallop and Shrimp. All parties include 30 mile's round trip travel from Northford, CT 06472. Depending on the size and location of the event we may charge an additional travel fee. Please contact us for an exact quote. For most events a deposit of $300 is required to reserve your spot. All parties include a mixed green salad topped with tomato, red onion and cucumber. Its served with a Balsamic Vinegarette. Our pizza makers and bakers hand stretch, assemble, bake and serve pizza throughout the serving time. We provide our own serving tables, tent to cover the tables and even lighting. Your guests can come up, help themselves throughout the event. After the initial rush we will take requests from your guests and make them whatever they want! Towards the end of the event we fill up and serve delicious mini cannoli. In previous years we have tried serving other desserts, but absolutely nothing has recieved better reviews or been more popular than our fresh filled cannoli. © 2012-2019 J & J Brown L.L.C.